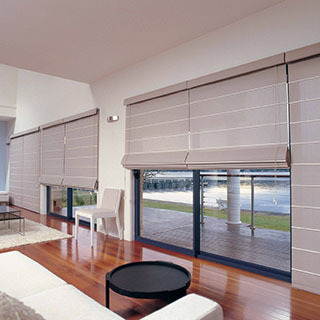 Luxaflex is the market leader in blinds in Australia. 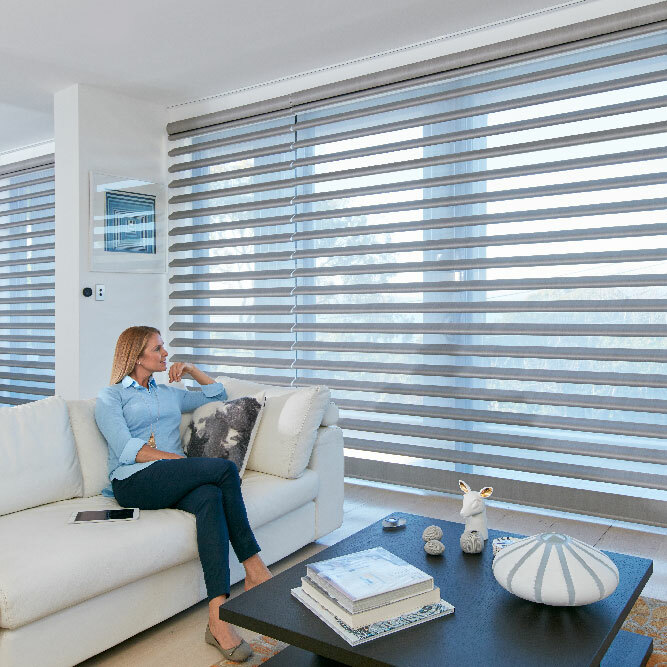 Luxaflex is the market leader in blinds in Australia. Their product range leads the field in design, aesthetic, function and durability. Choose from a diverse range of window coverings - from energy-saving Duette Shades and sophisticated Panel Glide Blinds to seamless Modern Roman Shades and perennial favourites, Luxaflex Roller Blinds. Luxaflex blinds come in a range of gorgeous, contemporary fabrics with different opacities to let you control light flow. 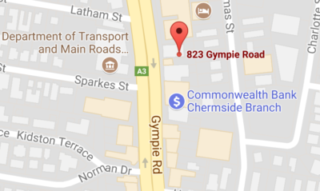 They offer a variety of simple, effective operating systems, and our blinds are made with child safety foremost in mind. 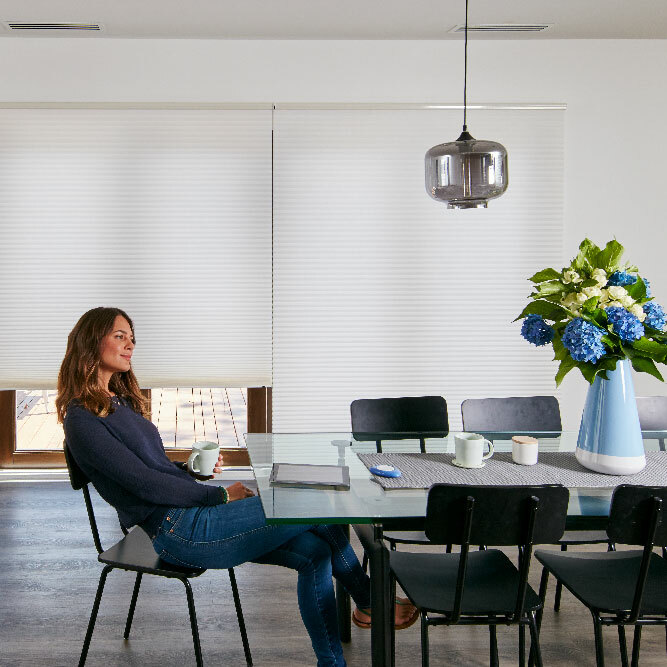 We invite you to explore our beautiful suite of interior blinds - and contact your local Luxaflex dealer for more information. 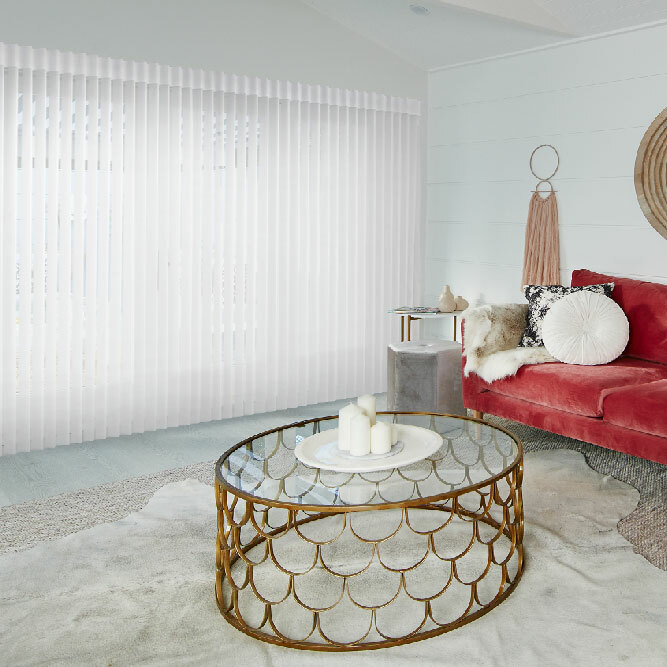 Still the market leader in honeycomb shades, the Luxaflex® Duette® Shades series, including Duette® Architella® Shades and Duette® Architella® Menage Shades, is unrivalled when it comes to elegant window coverings that keep your home warm in winter and cool in summer. 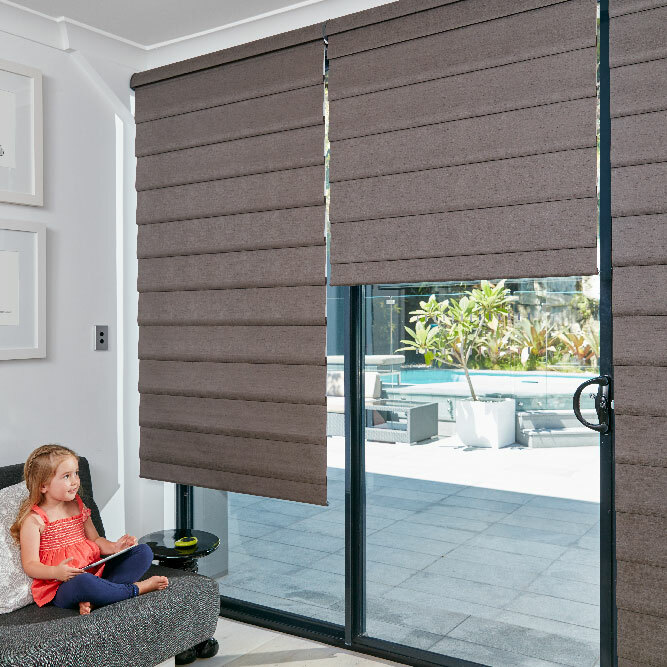 Luxaflex® Pirouette® Shadings provide softly curved, elegant horizontal fabric vanes attached to a sheer backing for an enhanced way of controlling light and privacy for you and your family. Classically simple in styling, the delicate folds appear to float above the window, allowing light to filter through, or to be completely closed for total privacy. Silhouette® Shadings operate like a conventional blind, but with technical know-how to add a whole new level of sophistication. A clever blend of on-trend design aesthetics and practicality, the innovative material used allows you to see outside, while restricting the view from the street for privacy. There is good reason that Luxaflex® Roller Blinds continue to be a favourite of homeowners. The secret to the efficiency of our range of roller blinds is their ergonomic design. 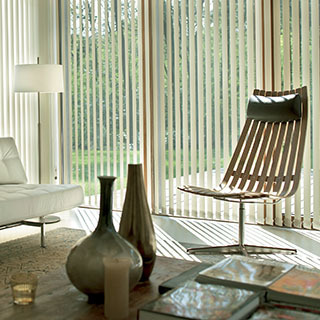 Luxaflex® Vertical Blinds add a fresh new dimension to a traditional window dressing. Easily control heat, light and privacy through our sleek, modern design that also incorporates the Ultimate Track System. 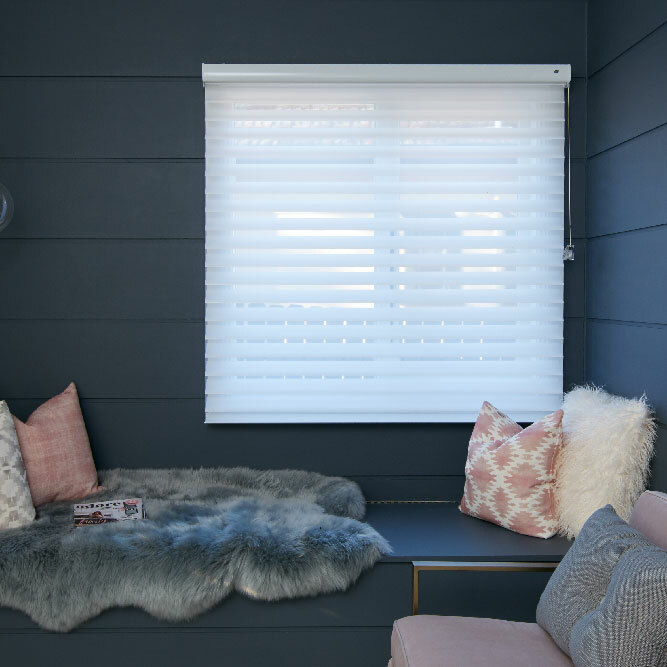 Our wide range of blinds and shades, shutters and awnings come in a huge variety of colours, fabrics, materials and operating systems (both manual and automatic). Go for drama and impact, or consider a subtle and understated solution. The choice is yours.